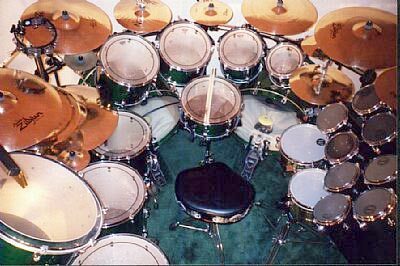 These are my current kits. 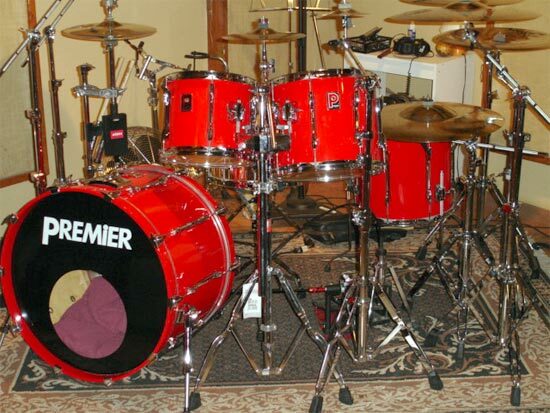 Not shown are my Roland TD-10's, the other half of my Red Premier Projectors, and my 8 piece Premier APK's. 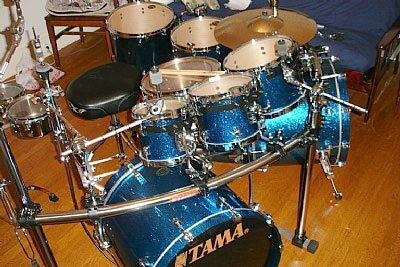 Of all the kits on the market I have to say that I like TAMA drums the best. 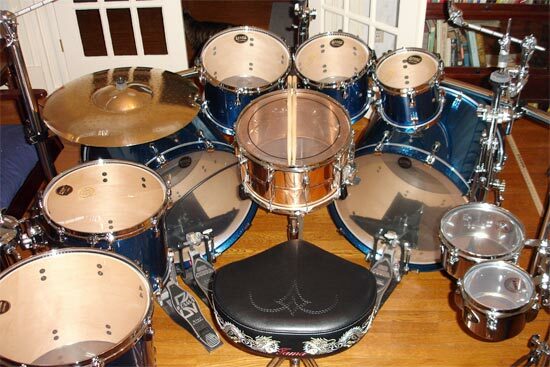 The Transparent Green ones are Starclassic Performers and the Blue Sparkle kit is Starclassic Maple. 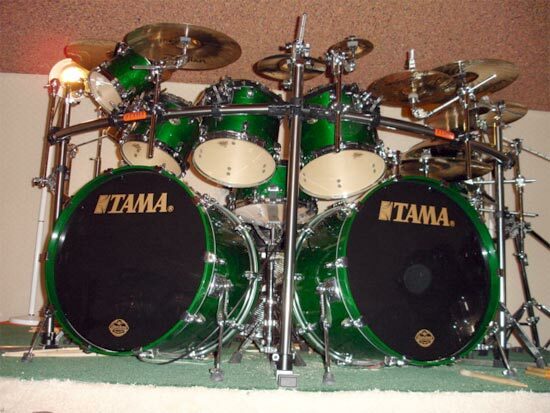 TAMA RULES! !